For bodybuilders and other athletes, the word “fasting” conjures up scary images of muscle wasting and the loss of precious muscle gains. This is because bodybuilding diets typically feature multiple meals spread throughout the day, and if bodybuilders are getting big and strong by eating frequently throughout the day, the prevailing thought is fasting, or not eating for long periods of time, would cause the opposite effect. 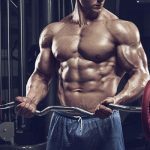 But what if we told you that you could achieve effective body recomposition – and still build muscle – by fasting for 16 hours every day? Intermittent fasting (IF) is a pattern of eating that doesn’t change what you eat, but rather changes when you eat. In simple terms, IF means occasionally going for extended periods without eating. It’s not a diet – and can be used for on both bulking and cutting cycles. “Stop, MuscleTech®,” you say. “Don’t we fast every single day, when we sleep?” And, yes, unless you’re getting up in the middle of the night, you’re effectively fasting while you sleep. In fact, the time from your last meal in the evening until your first meal the next day is part of your “fasting” interval in the form of IF we’re about to discuss – 16:8 intermittent fasting. There are too many methods of IF to list in this article, but the 16:8 method (16 hours of not eating, 8 hours of eating during a day) is a great place to start, as most athletes can easily tolerate fasting from 8 p.m. to 12 noon, which equals 16 hours of fasting. For more aggressive IF methods, look at fasting for 24 hours (often dinner to dinner) once or twice a week, or the 5:2 diet – where you eat as much as you need to feel satisfied 5 days of the week and then eat calorie-restricted on two days (500 calories per day). From a human history standpoint, intermittent fasting (IF) is not exactly new, though there has been a recent resurgence in IF thanks to more widespread adoption and the concurrent anecdotal evidence that has come from this new mainstream acceptance. The proposed theoretical benefits from IF include increased insulin and leptin sensitivity, increased mitochondrial energy efficiency, increased growth hormone, as well as reduced oxidative stress and inflammation. 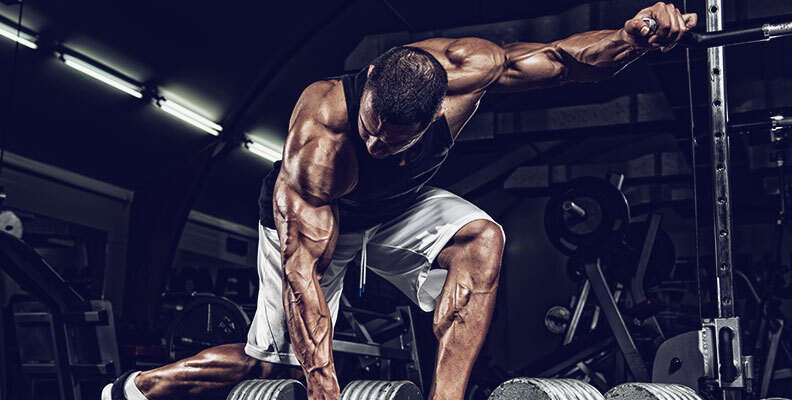 All great things that bodybuilders and other athletes can benefit from. The theory by proponents of IF is that fasting allows your body to use fat as fuel in the absence of insulin during the fast. It’s also proposed that your body’s insulin and leptin sensitivity improve. Your insulin sensitivity is directly related to how productively your body handles the carbohydrates that you consume. If you have high sensitivity, you have better blood sugar regulation, which allows your body to store glucose in muscle tissue rather than in fat cells. With leptin, it’s very similar to insulin. Leptin is a polypeptide hormone produced by fat cells. The more triglycerides in your fat cells, the more leptin is released – it’s regulated by total amount of fat mass you have. Leptin levels signal your hypothalamus by increasing hypothalamic mTOR activity, which decreases appetite and food intake. Conversely, low leptin leads to an increase in hunger and a decrease in metabolic rate. With increased leptin resistance, leptin receptors become desensitized, meaning your brain can’t determine when your body fat is a normal level – it perceives starvation, which results in increased hunger, lowered metabolism and more fat storage. Intermittent fasting is not a free ticket to load up on junk food or eat whatever you want, and the basic rules of bodybuilding diets still apply – if you eat more calories than you burn off, you will gain weight. Ideally your macros should not change; you’re now simply eating all your food in a shorter window of time. 12–1 p.m.: 2 scoops of NITRO-TECH® along with the largest meal of the day. Start of the 8-hour feeding window. 8 p.m.: Last meal before the fast. 1 p.m.: 2 scoops of NITRO-TECH® along with the largest meal of the day. Start of the 8-hour feeding-window. 9 p.m.: Last meal before the fast. 12 p.m.: Meal one, about a quarter of your daily total calorie intake. 4–5 p.m.: Pre-workout meal, roughly equal to the first meal. 5:30 p.m.: 1 scoop of #Shatter-SX7® Black Onyx™. 7–8 p.m.: 2 scoops of NITRO-TECH® NIGHTTIME along with the largest meal of the day.